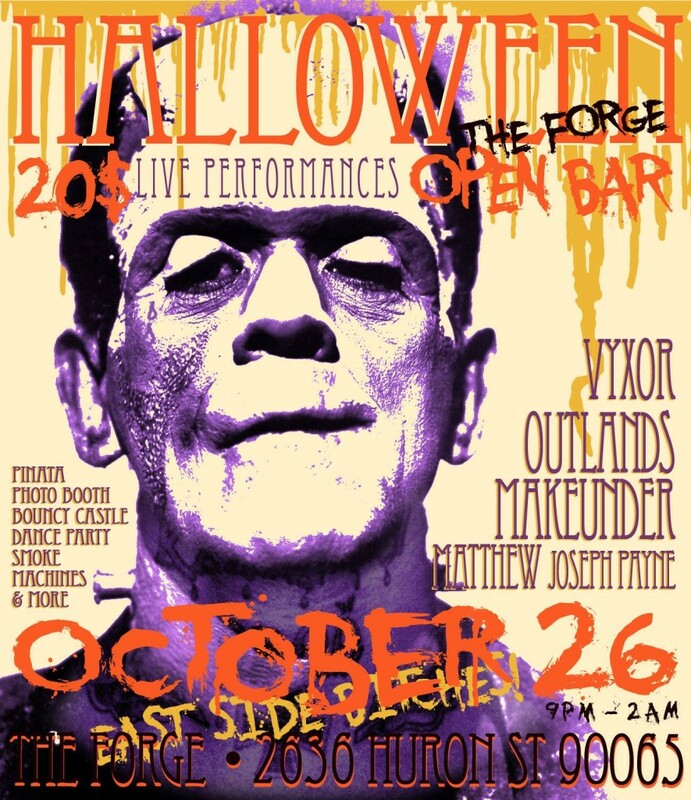 The annual Forge Halloween party is set to kick off next Saturday, October 26th around 9pm. I wrote about last year’s Halloween party and Indiegogo fundraiser, and have been helping set up the event for the past few years so I wanted to write a post letting people in the Los Angeles area know about this awesome costume party we host annually on the East side of LA. There’s always an open bar, bouncy castle, pinatas, photo booth, live performances and more. Tickets are 20$ and you can buy them at the door. You can find out more details on the Facebook event page and you can check out shots from last few year’s photo booth here.